Social media advertising forms an important part of your social media strategy. 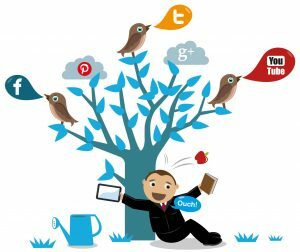 This is where you increase your web presence with social media advertising by placing advertisements on social networking sites. Social media advertising helps you to specifically target your key demographic. At RaaS, we can recommend the type of social media advertising that is right for you including Facebook advertising, Twitter Advertising, Pinterest Advertising and LinkedIn advertising. We can then help you design and implement a social media strategy including advertisement design, placement of your social media advertising, and ongoing monitoring to ensure your campaign gets results. Let us show you how to make social media strategy and social media advertising work for your business! Call or e-mail us today to see how we can help you promote your business in the social media world. Alternatively you can book one of our free web consultations and we’ll come to you.